Card Sound Road, Monroe County, Florida, May 5, 2007. 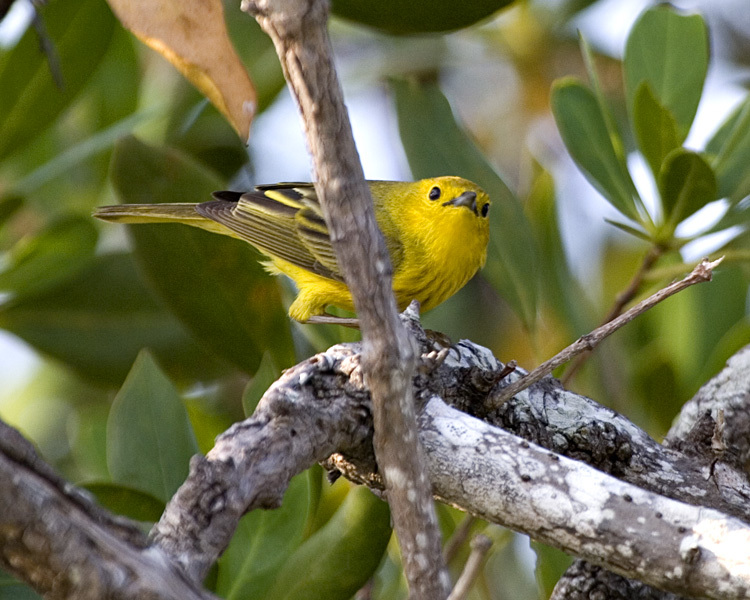 This is the Cuban race grundlachi, sometimes called the Cuban Yellow Warbler. Those who consider the aestiva (Yellow Warbler) and petechia (Golden Warbler) separate species would call it the Cuban Golden Warbler.